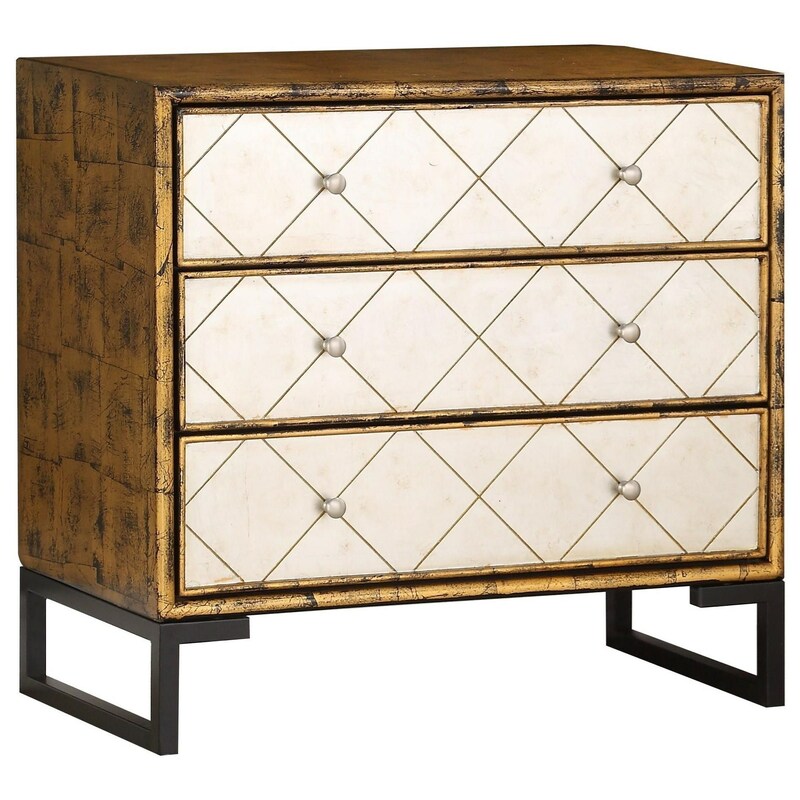 The richness of metallics radiate from this three drawer chest. Finished in Amen Antique Gold, the linear form of the body gleams as it sits upon the dark metal legs. Vibrant silver leaf drawer fronts have a diamond pattern and matching silver tone hardware. Add a piece of artwork and a lamp on top to complete the image, and enjoy the convenience of having AC and UAB ports right on the back. The Coast to Coast Accents Three Drawer Chest w/ Power by Coast to Coast Imports at Prime Brothers Furniture in the Bay City, Saginaw, Midland, Michigan area. Product availability may vary. Contact us for the most current availability on this product.